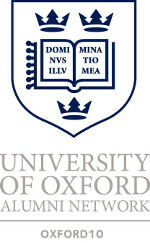 This entry was posted in Highlights and tagged alumni, drinks, london, oxford, oxford10. Bookmark the permalink. Are the Oxford 10 events open to just Oxford alumni (in general)? I am a Cambridge alumni and attended a boat party last year, which, I think, was for Oxbridge and Ivy League alumni. However, I’m not sure if this applies to every event, e.g., the drinks on the Thames tomorrow. Hi Kabir, Depending on the event they are open to everyone, although priority may go to our members. We would be happy to have you at our events in future!